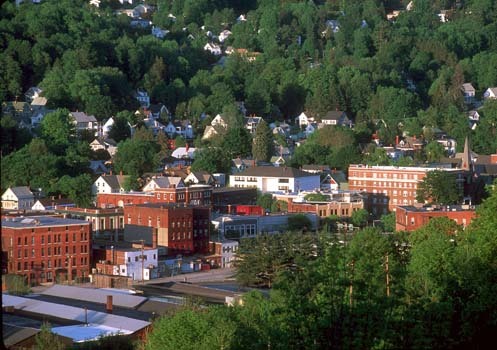 Barre City is comprised of a historic downtown area and the surrounding neighborhoods. Many of the homes originally housed the granite shed workers and their families. Today, while gentrification keeps improving the stock, housing is still very reasonable. Buyers looking for older, well-kept homes with “character” would be well-advised to consider Barre. Learn more about Barre! Call Heney Realtors at 800-696-1456 or contact us online with questions or to see any of these properties in person. Save time! Create an account to save your favorite listings and get notified when similar properties become available. This charming colonial nestled in the hills of Barre features 4 bedrooms and 2.5 baths. This home has a unique guest suite or studio apartment which is registered with the city of Barre allowing for the possibility of extra income or your own master retreat! Boasting the fabulous traditions of the 1940's you'll find it has gorgeous hardwood floors, a lovely wood burning fireplace in the living room and an enclosed porch where you could spend endless days enjoying all seasons. Located on a well-landscaped lot with both a stone patio and an in-ground pool for those memorable summer days, the land is also fenced to keep kids and pets safe. With countless upgrades and beautiful character there are even some secret little perks including a laundry shoot from top floor to laundry room! Energy Efficient, Low Maintenance Home in a Convenient Package Centrally Located in the Heart of Barre! This charming home was fully remodeled and weatherized via the VT state weatherization program in the fall of 2006 including new wiring, new windows, all new mechanicals, new roof, recessed lighting, new insulation throughout, new cabinets and appliances... nothing was left untouched! Open kitchen/dining with breakfast bar, 1st floor bedroom, 1st floor full bath, 1st floor laundry! Two bedrooms upstairs are great for the kids or guests and a fully fenced patio area provides the perfect retreat on a warm summer day. Stop paying rent and take advantage of this low maintenance move in ready gem! You will not find a more solid home at this price point! Affordable ranch style home in convenient location. The basement is mostly finished with an in-law apartment. Fenced backyard. Lovely home with lots of character and charm. Natural light and beautiful woodwork throughout this 4 bedroom one and a half bath home. Inside you will enjoy the eat-in kitchen, dining room and living room. Outside you will enjoy warm summer and fall evenings on your wrap-around covered porch. The Master bedroom has a decent sized walk in closet, and the property also boasts a full basement with concrete floor and granite walls. A rare "walk-up" attic that can easily be finished for additional space or be used for storage. The driveway is paved with a detached 2-car garage and there is room behind it for a secluded fire pit/sitting area under a large Willow.The back of the home also has a decent sized open deck for convenient grilling and afternoon sun. Property offers the convenience of downtown living without the main street feel. Minutes from the Interstate, shopping and restaurants. This beautifully updated home is full of character! Freshly painted and with a new roof, it is ready for you to move right in! From the covered porch you enter into the foyer which leads to the spacious living room with built-ins and pellet stove. The living area connects to the formal dining space, which flows into the kitchen, allowing for very easy entertaining! The spacious, eat-in kitchen comes equipped with new countertops as well as newer stainless steel appliances. Off of the kitchen is the half bathroom, a combined butler's pantry and laundry area, as well as access to an additional covered porch. Upstairs, you'll find a master bedroom, three guest bedrooms, as well as a full bathroom. There is a second story balcony that can be accessed through one of the bedrooms. Outside there is a detached 2 car garage. The backyard has plenty of usable yard space, a babbling brook as well as a bonus 12' x 18' guest cabin! The cabin, equipped with wood burning fireplace, has so much potential and can be used for any number of things, such as an art studio, workshop or bonus guest space! With so many improvements, this home is the perfect combination of modern amenities while still keeping the 1912 charm! Are you looking for your first home; or your forever home and don't need lots of space? This 3 bedroom 1 bath cape on nice sized corner lot might be for you! Want more space? There is a great opportunity to finish off the basement with a family room or whatever you choose! Enjoy the summer months on the semi-private rear deck with open lawn for gardens and play area! And winter months by the wood stove insert in the spacious living room! This two bedroom home is situated on a nice corner lot on a dead end street but the home itself comes with its challenges. It will need serious renovations and will be sold as-is. CASH ONLY! This lovely home is a two unit at the moment. It's located on a dead end street in easy walking distance to downtown and amenities. The first floor flat has an eat-in kitchen, large living room, bedroom, covered porch, full bath and a screened porch. Upstairs has two bedrooms, living room, kitchen and a full bath. This home has a nice level backyard, some replacement windows and in process of a new electrical panel. Owners didn't need a driveway but working with city to get approved for one. Great potential for first time buyer or possible investment. True side by side duplex with ample parking in a convenient location. Large kitchens provide plenty of space for eat-in option in addition to the separate dining room. On the first floor you'll also find a living room, half bath and access to the basement. The second floor of each unit has three good sized bedrooms and a full bathroom. Updates include two new furnaces, vinyl windows and a new half bath. Lovely bright sunny home with a master bedroom suite, two more bedrooms and an additional full bath on the first floor. Lots of improvements include a living room garage addition, updated windows, nice open kitchen with soft close drawers and stainless steel appliances, large composite deck with views overlooking the city. Need more space, there is a finished family room downstairs, a den, bonus/bedroom with a bathroom directly off from it and lots of storage. This is a well kept energy efficient home with a good size lot centrally located and close to interstate access.